Complete with private cabanas and exclusive VIP tables, Daylight Beach Club at Mandalay Bay Resort and Casino is the ultimate sophisticated poolside retreat. The refined Daylight Beach Club will provide discerning guests with a modern tropical oasis where they can revel and relax in absolute luxury. Each weekend, Daylight Beach Club transforms into a lavish entertainment venue – with a 1,400-square foot stage as the venue’s centerpiece - featuring the same world renowned DJs and musical acts that will provide the soundtrack at Light nightclub, complete with state-of-the-art lighting and sound. 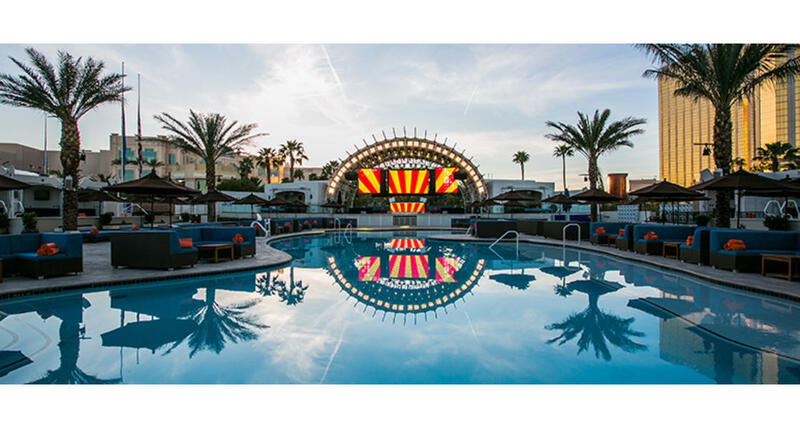 On select holiday weekends, Sundown at Daylight Beach Club - a new concept and style of poolside revelry - brings the famed sunset parties of Ibiza to Las Vegas, where guests will enjoy the best in electronic dance music from dusk until 3am. Daylight Beach Club is available for private events seven days a week accomodating groups with up to 1,858 guests.